The young lady in the image to the left should start becoming a little more important to you as this summer starts to unfold. That's Dani Rylan, and she should be named as one of the more influential people in hockey in this upcoming year if everything goes to plan. You see, she's the driving force behind this new, upstart women's league known as the National Women's Hockey League or NWHL. Miss Rylan's body of work in hockey isn't storied or steeped in history just yet, but it will be once the inaugural 2015-16 season for the NWHL starts. As she and her partners work to make this new league a driving force in women's hockey, she'll be carving out a path that very few women have had a chance to do in hockey as she'll also wear the GM's hat for the New York Riveters in their first season! Her Twitter account tagline reads "dreamer. doer." and she certainly is doing both with this new NWHL venture. She was born in Tampa Bay, Florida - a state not know for its rich hockey history - and made her way to the NCAA's Northeastern Huskies women's program as a player thanks to her dad who worked for the Tampa Bay Lightning. The Lightning's inaugural season was in 1992, and this gave Rylan, who was five years-old at the time, the inroads to skating and hockey in Florida! It helps that her brothers also played, so there was a definite family tie-in that resulted in her developing into a solid player and playing for the Huskies. She also played for the Division II Metropolitan State University in Denver as the only woman in the ACHA before arriving at Northeastern, proving that she's capable of holding her own against the boys. She recorded three goals and five assists in those two years in Denver, and she caught the eye of Northeastern's program and she joined the Huskies. She recorded three goals and seven assists in both years, but helped Northeastern capture the Beanpot Trophy in 2011-12! 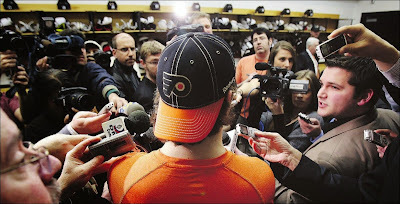 After graduating with a degree in Sports Leadership from Northeastern and a Broadcast Journalism degree from Metro State, it appeared that Rylan was set to become a household name after landing a contract with the NHL Network, but the lockout put those dreams on hold. Instead, Rylan followed another dream and opened a coffee shop up in New York City called Rise and Grind located in East Harlem. If and when I ever get to New York City, you know I'm looking this place up for a coffee or two. It sounds like a happening place! 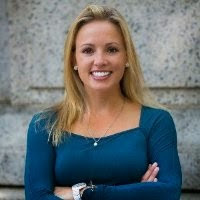 "I had moved to New York City to work for the NHL Network," she told New England Hockey Journal's Kat Hasenauer Cornetta. "My brother lives in New York City too, working as a coffee distributor. He had a storefront he wasn't using, so we worked out a business deal. I got the storefront and a coffee distributor and opened up a shop." It wasn't all fun and games, though. Rylan showed that dreamer and doer life motto once more. "My friend designed the shop, but I had to do all of the renovation work. I ended up laying tile and all of that," Rylan said. "I compared (the renovations) to preseason. I was pulling twenty hour days to get the shop ready. It was just like working incredibly hard in the preseason with the hope that it pays off during the season. I feel the same way about this." Clearly, her hard work has turned Rise and Grind into a successful spot for coffee. What's cooler is that she's also giving back to the community through her business venture. "I donate five cents of each cup of coffee I sell to Ice Hockey in Harlem," explained Rylan. "I physically put the five cents in a stainless steel style mug we all got that says 2012 Beanpot champions on it. I keep it next to the register. It's not a lot of money, but I hope it makes a difference." Every little bit counts, and that's a pretty awesome thing she's doing. With the CWHL gaining ground, she began work on trying to have the CWHL award a franchise to the New York City area. In an interview with CUNY, Rylan said, "New York's a great city for it because of the career opportunities. All of the girls have to have jobs on the side as well as play because players aren't paid right now. But that's part of the model that the CWHL is hoping to change, sooner rather than later. But right now there are 40 women on the Boston team’s roster for the upcoming season, so there are a lot of women that want to live in the U.S. and still compete at that high level." That's a lot of women on that Boston roster, and the CWHL has yet to enter any US-based market outside of Boston despite the vast number of players in and around the New York area. That may have been one of the main factors in Miss Rylan's push to create the NWHL. She and Angela Ruggiero are the founders of the new women's league, and it sounds like their model is ahead of where the CWHL is currently as the NWHL will pay players! Granted, we're not talking millions of dollars, but $270,000 per team as a salary cap is better than the play-for-free-because-you-love-it model in the CWHL. Dollars and cents are enticing for players who work jobs during the day just to play hockey at night. If there are 20 players on a roster, that's about $13,500 per player if everyone is paid evenly. That's not retirement money by any means, but an added $13,500 to any of the bottom lines for these women is pretty darn good. Players will be paid just like employees: taxes will be withdrawn from pay cheques, and the remaining amount will be the player's take-home amount. Because players are employees, the four American-based teams can apply for and obtain work visas for international players such as Florence Schelling, Janine Weber, or Natalie Spooner. Suddenly, the CWHL could see an exodus on players leaving for some green... er grass. If you followed the CWHL this season, you know that the Hockey Hall of Fame wanted Janine Weber's stick after the Austrian-born Weber scored the overtime winner in the Clarkson Cup. She, however, had reservations in giving up her stick as it was only one of two she had. Thankfully, STX Hockey came through and donated a pile of sticks to Janine so she could send a stick to the Hall of Fame. It was a bit of an embarrassment for the CWHL, and the NWHL has already learned from that situation. All of the players in the NWHL will receive equipment provided for them! "This a professional league. The women will have their equipment provided to them. The equipment, tape, sticks, the necessities to play will be given to them," Rylan told Puck Daddy's Jen Neale. That's pretty awesome that the players no longer have to worry if they remembered to pick up sock tape on the way to the rink or to replace that broken skate lace before the next game. As Miss Rylan stated, that is how professionals are treated. While I'm not suggesting this will be an NHL-vs-WHA war like we saw in the 1970s, it might be an opportunity, if the NWHL can gain some traction, for these two leagues to operate as one in the future. Miss Rylan believes the two leagues can co-exist, but this isn't an NHL/KHL thing. While I appreciate her politically-correct point-of-view on the two leagues, you have to ask yourself one question: do I want to play for free while paying out of pocket for my own gear, or do I want to get paid to play and have some free gear thrown my way? It sounds as though Miss Rylan has the business model down, has sponsors onboard, and has some interest from players already. The league is about 20 percent of the way to their financial goal right now, but they have an entire summer before the league kicks off in October. They're still looking for additional sponsors as well, so things are progressing but aren't entirely finalized. The four teams will play 18 games from October to March - 9 at home, 9 on the road - with each home game being a themed game: military, breast cancer support, and others, for example. Time commitments will be two practices per week and a game on the weekends. I post this today because there is an NWHL Launch Party in New York City on April 13 that sounds like it will have some important people attending. Details surrounding the event are hard to come by, but I'd assume that Miss Rylan and Miss Ruggiero have some great people lined up. The inaugural NWHL Entry Draft will take place some time in June, it appears, as there is a registration deadline for players on June 1, 2015. Junior and senior women's collegiate players are eligible to register and be drafted, but they must complete their degrees and cannot be paid until they graduate in order for those players to keep their amateur NCAA status. Players who have already completed their collegiate careers and graduated are declared as free agents, and can be signed between March 15 and August 25 of this year. In other words, this new NWHL idea has legs and is moving forward. Miss Rylan's dream is now in motion, and it's one of the biggest dreams to become reality in a long time in either of men's and women's hockey. Dani Rylan said she was a doer. This is one helluva did to pull off, and she should be recognized for this as one of hockey's most influential people despite her being just the tender age of 27. Know her name. She's gonna be a big player in the game of hockey for a long time. I don't usually do this, but I've got way too much stuff on the go in my life, so I'm taking a day off from hockey. As you've seen, I have this Blackberry project on the go, I have some running around to do in terms of completing errands, and I generally need to catch up on sleep. It's been a trying couple of weeks trying to meet all the deadlines and expectations placed upon me, so I need a night to regroup and reset. I don't want to think about hockey, writing about hockey, or looking for interesting stories. I just need a break, so I'm taking one. This would be one of those times where you, the reader would be featured by me. I'd post your story, and I'd toss in a few comments at the end. I have no articles to post, though, because I haven't received anything in the ol' inbox lately. Hint, hint. Ok, so you're not a hockey writer or don't have the urge to pen a piece on a specific topic. I get that. There are still lots of ways to feature you. Maybe you like to do YouTube stuff? I'm completely behind you on that one. Mock up a video or sit down and record a rant. I'm game for that. Bring your best video to me, and we'll have some fun with that. Maybe you like to code? I posted that match game a couple of weeks ago that I learned how to code. If you coded some awesome game or application that deals in hockey matters, I'd be happy to feature it. Heck, I'd hope you would use it as a springboard to a programming job by posting the link on a resumé. I'd be happy to post some awesome application you'd devised so that your name gets out there. And yes, all the credit would be yours. 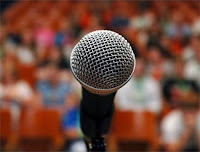 I have always, always said this blog is "of the people, by the people, and for the people", but it seems that very few take advantage of that opportunity. I know you all follow this blog because you love the game, and I know you all have opinions. You're all talented people in one way, shape, or form, so let's see some of those talents! As for me, I'm closing this laptop for the night. I'm going to get some stuff done tonight that I need to get done, and I'll see you tomorrow. Be ready because I'm going to introduce you to someone who absolutely deserves to be on your hockey radar! Today on HBIC, we're going to take a trip down memory lane as we look back at the mid-season opening of an arena for an NHL team. The Ottawa Senators currently play in Canadian Tire Centre, but this arena has had a few names over its life. It was called Scotiabank Place and the Corel Centre, but we have to go back to when the building opened to discover its original name: Palladium. It's hard to fathom that the Ottawa Senators building a case for a new arena when this one opened on January 14, 1996, but they were seriously proposing a new arena as late as the turn of the calendar to 2015. Considering the info found in a couple of Ottawa Citizen newspapers I discovered in a box, it seems the luster has worn off this once shiny, new building. According to the newspaper, the Palladium cost a mere $200 million. Parking cost $8 back in 1996. Fare on the various buses traveling to Kanata to this new venue would cost $1.85 each way. Hot dogs were $2 while beer was $4, taxes included. The most expensive seat in 1996? $85 to see the Senators and you got seat-side service for concessions. Seats in the Citizen family zone? $15 apiece. Needless to say, life was pretty good for hockey fans in the Ottawa area in 1996. If there were complaints, there were few but they were significant. There were too few elevators in the rink which meant that fans who sat in the upper deck climbed the equivalent of five stories of stairs to get to their seats. There were also significantly less washrooms for women than men - "688 urinals and stalls for men on the main concourse and 656 stalls for women" as per the Ottawa Citizen. Impressive, um, totals, right? The Ottawa Senators began play in 1996 at the Ottawa Civic Centre which held a measly 10,575 fans. It was easily the smallest building at the time in the NHL. The Palladium could easily hold 18,500 fans for hockey and up to 21,500 for other events. That's a huge difference in attendance. They also ensured that the sightlines were taken into consideration when building the rink. The farthest seat from the playing surface - seat S33 - is only 138 feet from the playing surface, and all players can be seen. Although they may look like ants. Here's the Brad Evenson of the Ottawa Citizen describing the Roman theme of the Palladium. One of the most striking features of the Palladium is the extent architects and designers pushed the Roman Empire decor. Needless to say, the Senators embraced their Roman ties with this new arena. There were other impressive architectural feats: the ice surface is below ground level, meaning fans enter the rink off the concourse almost a third of the way up. The seat sections are cantilevered over one another. Those with seats in the upper deck are nine feet closer to the ice than in other arenas at the time. Sound engineers were brought in to improve the acoustics. As Evenson writes, "Up in Seat 33, the acoustics are so good you could hear your nose bleed." The Senators have a 10,000 square-foot dressing room that comes with a steam room, a weight room, whirlpools, and lounges. The opposition, meanwhile, gets what could amount to enough room to act as a broom closet. There's a YMCA-YWCA on site, and there are enough restaurants and bars built up around the Palladium to make it worth a night out even if one wasn't attending the rink. Honestly, the planning that went into and around this arena is pretty impressive. Want some numbers? Here we go. 2500: amount in kilometre of electrical wiring that went into the building. It would stretch back and forth between Ottawa and Toronto three times. 1200: total number of steel pilings filled with concrete used in building the arena. 22: length in kilometres of refrigeration piping under the rink. 26: number of games played in the Palladium by the Senators in the rink's inaugural season. They did not make the playoffs that year. 120,000: cost in dollars to rent the best luxury suite per year, including taxes. Add another $40,000 to furnish that suite as well. 150: total number of luxury suites. 200: total seats for media. The press area includes four TV booths, four radio booths, one NHL booth, and one TV-replay booth. 400: total number of TV monitors in the Palladium. One included in every suite. 110,000: cost in dollars per year for the most highly visible board advertisement location. The lesser seen ad spots only set you back $80,000. 2000: number of people who can use the toilet at the same time. That's some impressive plumbing, no? The Senators, in a weird twist to this story, weren't the first event in the Palladium. Monday, January 15, 1996 saw a Bryan Adams concert as the first official event in the brand-new Palladium. And they followed that on Tuesday night with an all-star skating event, so the Senators weren't even first to skate on their ice! When they finally hit the ice, though, they welcomed the Montreal Canadiens for that first game, and we have video! So there's a little history on this Sunday night about the the Palladium which is now Canadian Tire Centre. Honestly, it sounds a little more regal as the Palladium, but the dollars made with naming rights to the arena can't be overlooked. Recognize this Bruins netminder? If you don't, you're excused. He didn't dress for tonight's game, but he ended up on the bench wearing #70, a number he's never worn in his career. 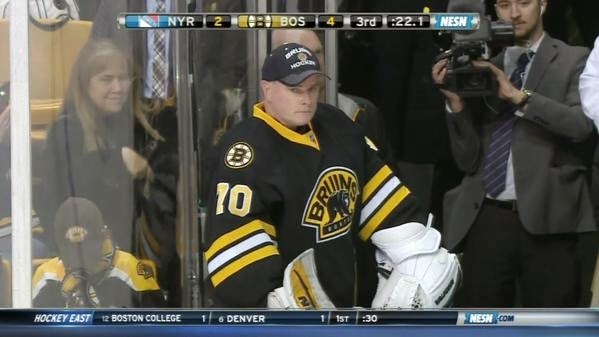 That, readers, is 50 year-old Bob Essensa, better known as the Bruins goalie coach, dressed and ready for action. If we're learning anything about NHL goalies, it's probably a good idea to have a goalie coach who isn't too far from his playing days in case one of your team's two netminders goes down with an injury in the game. Bob Essensa's last game came as a member of the Buffalo Sabres where he unfortunately posted an 0-5 record in nine appearances. His 2.91 GAA wasn't overly terrible, but his .850 save percentage left something to be desired. He called it quits after that 2001-02 season. Thirteen years later, Bob Essensa is back! Ok, not really. Tuukka Rask had been suffering from symptoms of dehydration which flared up during the first intermission, so Claude Julien did the smart thing and yanked his starting netminder. That left an empty seat on the bench as Niklas Svedberg replaced the ailing Rask just ten seconds into the second period. NHL rules state that you need to dress a backup netminder, so the emergency goaltender rule was enacted and Bob Essensa returned to the NHL! Having been around for Winnipeg Jets v1.0, I can tell you that he's still held in high esteem in the city of Winnipeg. He never truly got the respect of some of his goaltending peers at the time, but he was one of the more memorable Jets thanks to radio play-by-play man Curt Keilback's calls of "Great save, ESS-SENZ-ZA!" He was traded from Winnipeg to Detroit along with Sergi Bautin for Tim Cheveldae and Dallas Drake in what was one of the more lopsided trades that went against the Red Wings. Bautin and Essensa hardly played a large part in the Red Wings' success while Drake and Cheveldae became fan favorites in Winnipeg. While Essensa won't be suiting up for the Bruins for the remainder of the season, it's always nice to see one of those players that you grew up with back in the spotlight. While the gamesheet won't show Essensa as contributing on the ice, the Bruins can take comfort in knowing that he's there if and when a goaltender is needed once more. I had mentioned on Wednesday that I was working on a project, and I think I finally got it to work in such a way that I'm happy with it. You may recognize the device to the left as a Blackberry. Specifically, it is a Blackberry Bold 9650. It will play a prominent role in today's entry here on HBIC. I will inform you here and now that this article has nothing to do with hockey, but if you have an interest in technology, reusing old equipment and devices, or simply are hoarding some of this stuff, you'll want to read on. Honestly, this might be one of the cooler things I've come up with, and it will benefit UMFM, the radio station that features The Hockey Show, greatly if all things come to pass. 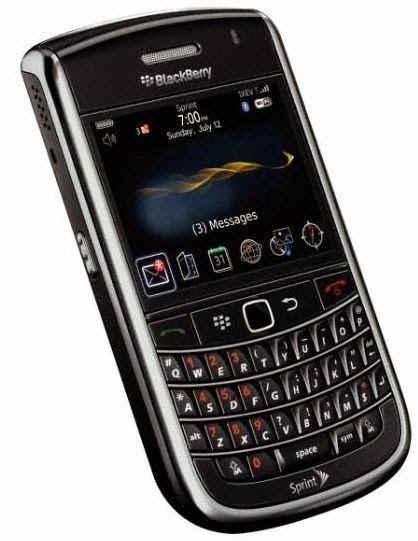 Any Blackberry older than the Z10 is basically worthless to the carriers that supplied them at this point. The total rebate offered for them is zilch, so they are nothing more than plastic and scrap metal in the eyes of the carriers who supplied them years ago. I happen to enjoy turning old technology into something useful again, so I can happily step in and save the carriers from themselves in turning these Blackberries into scrap. Here's the background on what's going on with these, and this is important to the cause. Read on for an idea that I've been toying with for a while. CJUM-FM is based at the University of Manitoba. As a result, its broadcasting range covers its immediate service area which is the city of Winnipeg. It's one thing not to be noticed on the radio dial for reasons like not playing commercial music or having too much talk-radio or simply being "different", but it's entirely harder for UMFM to exist when there are staff and students that don't know you exist despite them paying fees to keep us afloat. In order for us to have a greater presence around the University, we need to be heard. The problem is that the infrastructure to have UMFM's sounds playing in the hallways and corridors of the University does not exist. The University isn't interested in helping us grow our market within our own borders either as they have other pressing needs that require some monetary attention, and we accept that. We understand the economics, but we also run on a modest - read: shoestring - budget ourselves. That's where my Blackberry idea comes in. Because the infrastructure to have an integrated feed through the buildings doesn't exist, we have to improvise. Every building has electrical run through the ceilings covered by a drop-ceiling, so we have that working for us. And every building has wifi coverage. And that got my gray matter fired up as I put two and two together. After ensuring SIM cards were pulled and personal information was wiped from the phones, it was all about ensuring they could connect to wifi. That was confirmed after the 9650s were fired up. Next, I'd need to be able to connect to the internet stream via UMFM. The problem is that Windows Media Player and WinAmp aren't widely available via the Blackberry App Store, so I was off to find another app that would let me connect. It took some searching, but if you have Blackberry, here's the best way to listen to UMFM on your Blackberry: Nobex Radio. Nobex connects you to, literally, thousands of stations across the world, and I'm happy to report that CJUM-FM - 101.5 UMFM - is on that list! I've been listening to UMFM on and off via random Blackberry Bold 9650s over the last two days without so much as an interruption. I have to say it's a pretty great app! So we have a device, wifi access, an app that connects via wifi to gain access to the radio station. All we're missing is a set of speakers. That's where the computer speakers come in as they have the male audio connector necessary to plug into the Blackberry's headphone connection. A little testing done here with HBIC's own speakers, and we have a working digital stereo, kids! There are still some things to work through before this project becomes more than a science experiment. We need approval from the Board of Directors to purchase the necessary number of computer speakers, but I'm certain we can source them fairly inexpensively. Secondly, we need the University of Manitoba to sign off on our using an outlet to plug the Blackberry charger and speakers in. We don't want the batteries in the Blackberry dying, so we need to keep them plugged in. Lastly, we need to source out appropriate spots for these radios to be installed in the drop-ceilings of the various buildings. We're still weeks away from this digital radio idea hitting the hallways, but this is what I spend my evenings doing when I'm not writing here. I think outside the box when it comes to technology and finding uses for those devices people say are obsolete. No, I didn't pioneer this idea, but this is the first time I've had access to a dozen old Blackberries that have been deemed obsolete. Now we just need the powers-that-be to sign off on the idea. The Hockey Show, Canada's only campus-produced hockey radio show, returns tonight with another fully interactive show as we invite you to call and talk hockey with us! Because Beans, Columbus, and I have been overly busy with various things in our respective lives - there will be two announcements tonight as a result - we've decided to wing it tonight and just talk all things hockey. That, of course, opens the door to your calls and tweets, and we invite you to call in or tweet at me! Tonight, we invite you to join us talking about the Jets versus the Canadiens and how games are basically must-win for the Jets from here on out, the return of the Jets who are fighting the injury bug and their potential impacts, the fate of Friend-of-the-Show Jared Aulin and where we would like to see him land, the comments made by New Jersey Devils owner Hugh Weber to POLITICO Magazine, a new women's hockey league and the impact it will have on the CWHL, the Minnesota Golden Gophers women's team winning the women's Frozen Four, and the NCAA looks to crown a winner in men's hockey! It's going to be a busy show, so tune in early! The phones will go live right after the show's intro tonight so give us a call at (204) 269-8636 (269-UMFM)! As always, will be live on 101.5 UMFM on your radio dial in the Winnipeg region or you can listen live between 5:30pm and 6:30pm CT on your web-enabled device at the UMFM webpage! You can tweet me anytime you like by hitting me up at @TeebzHBIC on Twitter. You can also post some stuff to Facebook if you use the "Like" feature, and I always have crazy stuff posted there that doesn't make it to the blog or show. It's all about you, the listener, tonight so tune in at 5:30pm so you can have your take on the hockey world live on the air! I received a couple of phone calls that I missed tonight as I was working through some cool project stuff that I'm hoping will make UMFM a little more prominent in and around the University of Manitoba. I wasn't until my iPad notified me of a new tweet that I sprung into action. You see, CBC Radio was calling me once again, and that only means one thing: I will start my day on one station and finish it on another! I truly am becoming a radio guy! Tomorrow morning around 7:30am, you'll be able to listen to me weigh in on the Jets and Canadiens who will battle at MTS Centre tomorrow night. There are big implications in this game as the Jets need to win after dropping a rather uninspired 5-2 decision in Vancouver last night. With Carey Price in town, goals may be hard to come by for the Jets, so they will need to play a solid defensive game to keep scorers like Max Pacioretty, Tomas Plekanec, and PK Subban from derailing the playoff dreams of the Jets. You can hear me live at 7:30am on CBC Radio's online stream or over the airwaves at 89.3 MHz on the FM side of the dial. I'm excited for the opportunity to speak with host Marcy Markusa once more as we dive into the Jets' situation again! Everyone knows that EA Sports is pretty much the only name in video game sports that matters. There have been some excellent games that weren't made by EA Sports, but no video game company has had the number of best-selling sports titles that EA Sports has had. One franchise in particular, the NHL series of games, actually had a pretty amazing start and how it led to NHL '94 being made despite a few major obstacles being thrown in EA Sports' path. Blake J. Harris wrote a rather incredible article highlighting how EA Sports came to be the powerhouse in sports video games over on readonlymemory.vg, and it is worth every second of your time that it takes to read the article. Mr. Harris' work and detail in the article is simply amazing, and he really paints an excellent picture of the early struggles faced by EA Sports right through to designing NHL '94, the standard for all other sports game to follow. I joke here that Russia does things a little different and that they are occasionally a little backwards in their thinking. Apparently, they also do things a little upside-down as there was a rather interesting tournament played near Temirtau village in the Kemerovo region of Siberia. So those are players playing upside-down underwater with their feet on the ice! I can't imagine how difficult this tournament would be, but it appeared that the players were doing their best to move the puck. How cool is this version of the game, though? Gives a whole new meaning to "keep your sticks on the ice"! So there's radio, TV, and print in terms of the different forms of media covered here on HBIC. Tune in tomorrow with CBC Radio and Marcy Markusa as she and I sit down and talk about the Jets and Habs in tomorrow night's clash at MTS Centre! If there's one thing true in professional sports, it's that you never know when it will end. It could be through retirement after a lengthy career that a player finally decides he or she has played enough to walk away. It could be through injury, as unfortunate as it is, but one has to weigh the balance between living a full and normal life or possibly being injured for the rest of his or her time on the planet. In some cases, though, it is beyond a player's control when his time ends with a team, meaning he's forced to pack his bags and search for work elsewhere or walk away from the game he loves despite still being in game shape. Consider me baffled when I was looking at Jared Aulin's stats for the Swedish Elite League's playoff only to discover he hasn't been playing regularly. With Örebro playing Växjö in their series, I was surprised, shocked even, to find that Örebro had sat one of their most popular players for the last three games before entering Game Six on Monday night. Suddenly, the updates we do regarding friends of The Hockey Show who play in Europe may not be so stellar any longer, so I began to dig a little deeper to see if perhaps Jared was injured or perhaps dealing with a personal issue. It turns out it was neither. "I'm ready, focused and feel fresh if I get to play," Aulin told Pelle Strandman of NA. When asked if he was surprised to be left out of the lineup in this series, Aulin replied, "Absolutely, very surprised. But it is not my place to question anyone and everyone in the team deserves to play. When (you're not in the game), you have to be a supporter and work hard to get the chance again." I respect Jared for his team-first stance which speaks to his character. However, some who left comments on the site felt entirely differently about Jared not dressing for key games against Växjö. Any Day Of The Week wrote: "I can agree that not Aulin performed at a peak time but one thing is for sure, a bad Aulin is any day of the week a better player than Johan Wiklander! In the playoffs you have to win close games where often individual effort determines. The tools have Aulin, absolutely not Wiklander!" Thankfully, it sounds like Örebro dressed him for Game Six in what some are saying could be his final game with Örebro. Personally, the bond he has with the community there is unlike any other in sports, and I want to firmly believe that this decision is less about how he is playing and more about icing a line-up that has some intangible that the 33 year-old Aulin doesn't bring to the table. I needed confirmation, though, so I went to the source. Or, at least, the social media source: Jared's Twitter account. @Broman1978 you fans are the best of the best. It's been a real honourto play in front of all of you. Thank you very much!! Well, that's not a good sign. It sounds as though Jared is already resigned to the fact that he won't be playing for Örebro next season or in the future. I'm going to follow up with him via Twitter this week to see if I can get some confirmation that he'll indeed be leaving Örebro. From the way it sounds, his time with the team he helped get promoted to the Swedish Elite League is done and it's not by his choosing. That's the worst kind of news a player can get, and it comes at a time when life was just getting back to normal for Jared Aulin. The image to the left is Newark, New Jersey outside Rutgers University. I've never been to Newark, but it seems to be similar to other NHL markets in that it has a solid core population and a number of surrounding communities to fill an arena. However, there was a rather unsettling comment made by New Jersey Devils owner Hugh Weber to Jason Nark in POLITICO Magazine that was published on March 19. I'm not sure why he would say what he said, but it doesn't appear that hockey in New Jersey is doing well in terms of attracting new fans. The article by Mr. Nark actually looks at the deteriorating situation in Newark in terms of the city needing to be revitalized. There's been a "slow trickle" of people leaving the city, and it appears that the city has been unable to recapture some of that lost population. The urban core, where the Prudential Center is located, has been hit hardest in Newark's current situation, and it prompted this view from Mr. Weber, president of the Prudential Center and New Jersey Devils. The Prudential Center arena is one of the few places that makes Newark feel open for business after sunset. Hours before a recent 7 p.m. hockey game there, customers in Devils hockey jerseys fill up bars around the venue and the popular Ironbound neighborhood nearby. In the Courtyard Marriott, Boston Bruins fans gather in the lobby. Hugh Weber, the president of the Prudential Center and New Jersey Devils, says he doesn't expect to win new ice hockey fans in Newark. It's not the most diverse sport, he admits. I'm not sure what diversity that Mr. Weber is looking for, but we're talking about a sport that is primarily played in colder markets still as places like Dallas, Tampa Bay, and Phoenix are working to develop grassroots programs. So the question should be asked of the Devils as to what they are doing to help the game and, ultimately, themselves? It's no secret that the NHL is still battling with the NBA for legitimacy on the American map, and this trickles down to the kids who want to emulate their football, baseball, and basketball idols. It's easier for a kid to go watch the Rutgers football or basketball teams than it is for them to gain access to a Devils game. This is a case of simple economics that the Devils will always lose, so they need to become more accessible in other ways to try to capture the upcoming generation's attention. I'm not sure if the Devils are stuck in an "old-fashioned" mindset with Lou Lamiorello at the helm, but I would think they would send a number of players out into the community to generate some buzz. Do they have some sort of street hockey/learn the game initiative like the Coyotes do? If not, why not? Could they not partner with youth centers and community centers to teach the game to those that visit? I understand that times are tough in Newark, but there are other teams in NHL cities who are facing the same issues that are far more pro-active in their approaches to reaching out to their fans. Detroit, for example, has seen fluctuations in their attendance based on the economic times, but they are always marketing themselves to the fans with a pile of good ideas. It's the same story in Buffalo as well. Both of these teams engage their fans who, in turn, bring friends to the games and to places where games can be watched. They grow the game by reaching out, and I'm not sure if New Jersey does this. If they do, they certainly don't do it well based on Mr. Weber's statement. Again, I've never been to Newark, but the article by Mr. Nark in POLITICO Magazine sounds optimistic when it comes to finding a way for Newark to revitalize its downtown core area. For the NHL to have a guy who basically says that the sport he's heavily invested in isn't attracting fans in an article about revitalizing the downtown area is a great way to ensure that people won't spend their hard-earned money going to Devils games. 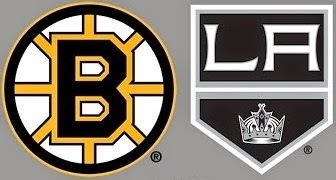 The Boston Bruins and Los Angeles Kings are in perilous positions. Los Angeles dropped a game to Vancouver on Saturday night that they needed to win as they fell four points back of Winnipeg for the eighth playoff spot and two points behind the Flames for third-place in the Pacific Division. Boston dropped another game today, this time at the hands of the Tampa Bay Lightning. They sit just a point ahead of the surging Ottawa Senators, and seem to be struggling to earn points at the most critical time of the season. The heat is on these two teams right now as they battle for their playoff lives. Boston has just nine games remaining while Ottawa has two games in hand on them. Boston does own the tie-breaker in terms of regulation/OT wins, but it will matter little if Ottawa overtakes them in the standings. These two teams don't meet up for the rest of the season, they do have teams that pop up on their schedules that could affect the race. Both teams face the New York Rangers twice, and that could pose a problem for both. The Rangers are playing well, and Cam Talbot has been stonewalling everyone. Both teams face Toronto, Florida, Washington, Detroit, and Tampa Bay before the end of the season, and Boston has two games with the Panthers who are also chasing these two teams down. The playoff race may come down to the results against these six teams, and Boston has two less games to gain as many points as they can to hold onto their spot. For Los Angeles, the playoffs could be won or lost on the five-game road trip they start tomorrow. New Jersey is the first stop, and the Kings are in must-win territory with this game. They then face the New York Rangers, the New York Islanders, the Minnesota Wild, and the Chicago Blackhawks before returning home for a game against the Oilers to kick off April. The Kings have to find a way to manage these five games and come home with a winning record or it could be game over for the defending Stanley Cup champions. While the Kings have one game in-hand on both the Jets and Flames, it won't matter much if they aren't in the race. Winnipeg finishes March off with games in Edmonton and Vancouver before coming home to host Montreal, Chicago, and the Rangers. It's no picnic for the Jets either, but they have a four-point cushion and have beaten some excellent teams recently. If they continue to play as they have in the last four games, the path to the playoffs for the Kings becomes very murky. Calgary has a far easier path to the end of March as they host Colorado and Dallas before hitting the road against Minnesota, Nashville, and Dallas. Calgary still has to win, of course, but it appears that they'll have an easier time of it based on standings than the Kings will. The Kings will have to be at their best to come out of March ahead of the Flames, so Kings fans may want to develop allegiances for next nine days for the Avalanche, Stars, Wild, and Predators. If Los Angeles is to make the playoffs, they're going to need a little help. The next three weeks are going to be intense. For the five teams mentioned, it's a race to the finish as the stretch run continues. The only problem is that it could be less of a race if a couple of teams can't find the winning formula to stay in the race. That was a helluva performance! The Winnipeg Jets welcomed NHL goal-scoring leader Alexander Ovechkin and his Washington Capitals to MTS Centre tonight where the two teams both needed to capture points. Like in the win over St. Louis, there was an electric feeling in the air as the puck dropped between these two teams, and the result was exactly what the fans at MTS Centre wanted: a dominating performance over an old foe that, in the end, helps their playoff chances immensely. And suddenly, with the Jets on a roll, they face an interesting dilemma in the coming days. The Jets got another outstanding performance from netminder Ondrej Pavelec in his 28-save effort, and they mounted all the offence needed in the first period from an unlikely source with Mark Stuart's second goal of the season. Mark Scheifele made it 2-0 in the second period while Adam Lowry killed any hope of a Washington comeback with a 180-foot shot that found the back of the empty net. With their two of their best offensive players on the shelf, the Winnipeg Jets won their fourth consecutive game over another legitimate playoff team. Now the dilemma facing the Jets is what to do when players like Bryan Little, Dustin Byfuglien, Mathieu Perreault, and Ben Chiarot are ready to return from injury. It was thought that losing these four players would ultimately sink the Jets, but they have rallied to find yet another level in beating Tampa Bay, San Jose, St. Louis, and Washington over their last four games. Having Byfuglien and Chiarot return won't be a cause for headaches as these two men have been paired together all season, and it would be expected that they would replace the tandem of Adam Pardy and Jay Harrison. The issue, though, is that Pardy and Harrsion have been playing great hockey! Pardy's big body and exceptional reach have been essential on the penalty kill and in his own end in neutralizing scoring threats, and Harrison's toughness and steady all-around play around the Jets' net have kept these two in the line-up. While Byfuglien and Chiarot bring more offence off the Jets' blue line, it's hard to replace two players who have been exceptionally sound in their defensive games. It gets even harder to start swapping parts out up front when it comes to Little and Perreault. I'm 99.9% sure that the line of Stafford-Scheifele-Wheeler won't be touched with the chemistry they're experiencing right now. Andrew Ladd and Bryan Little have had chemistry in the past, and it would be logical to put Little back into the roster spot he abandoned when he was injured. Could Perreault fit on that line with them? It would be an interesting look for the Jets, and it would slot Jiri Tlusty or Lee Stempniak with Michael Frolik and Adam Lowry on the third line. The fourth line would remain Stempniak or Tlusty with Jim Slater and either Matt Halischuk or Anthony Peluso. However, if the Ladd-Little-Perreault line doesn't work, Frolik can slot in on the right side once more, pushing Perreault to the third line with Tlusty and Lowry. Tlusty has shown signs of brilliance in generating some offence, and he could use another weapon to help him bury a few of those chances. While parts are always interchangeable, it appears that once the injury bay begins to clear for the Jets, Paul Maurice will have a number of decisions to make. If there was one player whose contributions stood out more than any other tonight, it was the effort by Tyler Myers in shutting down Ovechkin. The 6'8" defenceman was dominant in his play against Ovechkin, using his size and reach to keep Ovechkin on the outside of the ice all night. Myers has been, in my mind, the best defenceman on the ice in the fifteen games we've seen him wearing a Jets uniform. I don't envy Paul Maurice for the decisions he has to make on who sits and who doesn't, but it's a great problem to have with the leading goal-scorer and the leading scorer from the blue line ready to return to the lineup. While it would appear that the decisions are easy, it's never easy to break up a group that is playing as well as they are. If it ain't broke, do you tweak it? If you follow HBIC, you're very aware that I do a radio show on Thursday nights that deals with - surprise! - all things hockey. I will fully admit I'm no Bob McKenzie or Pierre LeBrun who appear on all sorts of radio shows to talk hockey, but I was invited to join a radio host here in Manitoba on her show before the sun came up! Since I enjoy doing my own radio show you know that I couldn't say no, so I was up way before I usually am to join CBC Radio for a chat about hockey! And despite me not having coffee at that point, I had a blast working in a studio other than UMFM! CBC Radio's Marcy Markusa wanted to chat about Jets, their battle in securing a playoff, the other teams Winnipeg is battling with, and the atmosphere in Winnipeg on her morning show, so I obliged being that I kind of have this love for the game of hockey. CBC Manitoba's website has the audio posted, so here's the segment with me! You'll wanna skip ahead to the 2:50 mark, and I'm on the air with Marcy until about the 9:00 mark! Of course, you're welcome to listen to the rest of the second hour of Marcy's show, but I had a great time on the air with CBC and Marcy today. I can't say enough good things about my experience, and I'll tell you now that if they ask for me to come back, I'm there. I want to thank Marcy Markusa, the entire crew behind the scenes at CBC Radio, CBC Producer Leif Larsen, and UMFM Program Director Michael Elves for their work in getting me on CBC Radio! You guys are the greatest, and I can't say thank you enough! If you're looking for me tonight, I'm gonna be off the grid. I'm starting to hit the wall already in terms of being tired, so I might succumb to a nap when I get home from work that could turn into a full night's sleep. There are only a couple of games on tonight, and this "superfan" needs his rest for the Jets game on Saturday against the Capitals! The Hockey Show, Canada's only campus-produced hockey radio show, is back tonight with an all-interactive show! We'll be down a man as Beans is taking the night off, so Columbus and I will hold the fort as we open up the phone lines to answer any hockey questions you may have! It'll be an hour of us chatting with you about playoff races, the Jets, and the news coming out of hockey this week as you call into the show! Get those dialing fingers ready, kids, because tonight is all about your calls! Anything is up for debate and discussion tonight. Want to talk about how the Leafs are mathematically-eliminated? We'll probably laugh and laugh and laugh and laugh some more at that before discussing how the biggest tank job in Canada since World War II is happening. Wanna talk Jets, Kings, and Flames? We'll gladly discuss that playoff race. How about the Metropolitan Division where the two New York-based teams are fighting for first while Pittsburgh tries not to let Washington overtake them? How about the news that the Florida Panthers and Portland Pirates are being affiliated? There's a lot of stuff to discuss, so if you find yourself listening to the phone ringing, hold tight! We'll get to your calls! The phones will go live right after the show's intro tonight so give us a call at (204) 269-8636 (269-UMFM)! As always, will be live on 101.5 UMFM on your radio dial in the Winnipeg region or you can listen live between 5:30pm and 6:30pm CT on your web-enabled device at the UMFM webpage! You can tweet me anytime you like by hitting me up at @TeebzHBIC on Twitter. You can also post some stuff to Facebook if you use the "Like" feature, and I always have crazy stuff posted there that doesn't make it to the blog or show. It's all about you, the listener, tonight so tune in at 5:30pm and get your thoughts on the air! Bruce Boudreau is a pretty smart guy. He has the Anaheim Ducks challenging for the President's Trophy once again, and he took Washington to heights they haven't seen since he left. 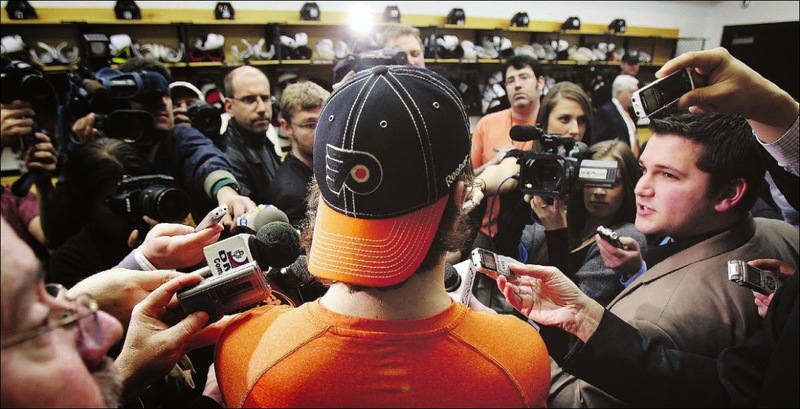 He wears his heart on sleeve as he occasionally will react to something on the ice with tenacity, and he occasionally will give a sound bite that makes reporters chuckle. Today was one of those days where he said something honest and true, but in doing so he may have lit a fire under a team that is gunning for a playoff spot. If you're a fan of a team that's fighting for a playoff spot, Boudreau's comments today might be the catalyst that sees your team miss the playoffs. Bruce Boudreau, prior to the game against the Los Angeles Kings last night, was asked about the Ducks possibly meeting up with the Kings as a first-round match-up in this year's Stanley Cup Playoffs. And with that comment, the Los Angeles Kings have something they can post on the bulletin board and inside every locker in their dressing room. 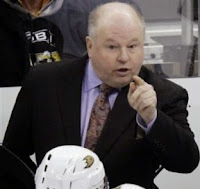 Bruce Boudreau admitting he would like to see the Los Angeles Kings miss the playoffs is probably the worst strategy one could have when it's very likely the Ducks could meet the Kings if the Kings were to secure the eighth playoff spot or better in the Western Conference. First off, it sounds as if Boudreau is suggesting that the Ducks are scared of the Kings. It's almost as if Boudreau is suggesting that his team would be better off not seeing the Kings, who have won more playoffs series over the last three years than any other team. I understand the respect that Boudreau would want to show the defending Stanley Cup champions, but to make it sound like you're afraid of them isn't a wise tactic. However, when we go to Curtis Zupke's article on NHL.com, we get the full comment and it becomes clearer what Boudreau is trying to convey. "We hope they don't make it," Boudreau said. "They're a great team and they're Stanley Cup champions and they've got that blood in them. All three years they've been in the final four. It's always 'Be careful what you wish for.'" Boudreau's comments aren't all that dangerous when it comes with context. However, you know the Kings will want to use this as motivation, and that has to worry teams like the Calgary Flames and Winnipeg Jets who are in the midst of a battle with the Kings for their playoff lives. The Kings can move ahead of the Calgary Flames with a single point against the Ducks tonight, and this would guarantee them a second-round match-up with the Ducks if both teams were to win their first-round series. Los Angeles would play Vancouver while Anaheim, depending on tonight's results, would get Minnesota or Winnipeg. All three of Calgary, Winnipeg, and Los Anegeles have twelve games remaining after the Kings play the Ducks tonight, so it literally will be a race to the finish. Los Angeles now has motivation for crossing the finish line first. Calgary: 392-345-117 or a win percentage of .528. Los Angeles: 421-326-93 or .557. Clearly, Winnipeg has the toughest battle to make it into the playoffs with the remaining games. However, there are some teams that can throw monkey wrenches into the plans of these three teams. Edmonton plays LA twice, Winnipeg once, and Calgary once. I know they're gunning for McDavid or Eichel, but fans of the three teams in question might want to cheer for the Oilers when their number comes up on the schedule of the other two teams. Colorado and Minnesota both face each team once as well. For Calgary fans, Vancouver has two dates with Los Angeles and two with Winnipeg. Both the Jets and Kings will also face the Rangers once each and Chicago once each. For Los Angeles fans, Winnipeg has two dates with St. Louis while Calgary has one. For Winnipeg fans, there aren't any other crossovers for the Flames and Kings. You're just hoping they lose. It should be an interesting race to the playoffs for these three teams. There are a few tough games coming up on all the schedules - including seven games in a row against teams with 40+ wins for the Jets - but you don't deserve to be in the playoffs if you can't put a scare into the teams ranked higher than you. The LA Kings have won a Stanley Cup from the eighth-seed before so they have the experience, but you know the Flames and Jets want a shot at making history as well. The one thing that the Jets and Flames didn't need, though? More motivation for the Kings. Thanks, Bruce Boudreau. 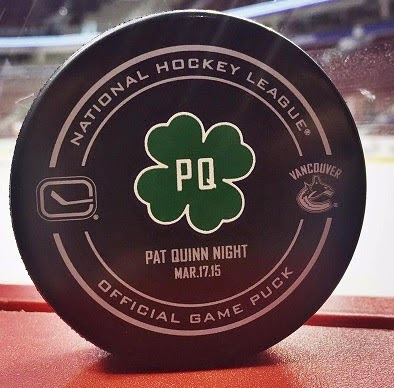 We lost Pat Quinn on November 23 earlier this year, but the Vancouver Canucks paid tribute to "The Big Irishman" today on St. Patrick's Day while hosting one of the teams he coached in the Philadelphia Flyers. 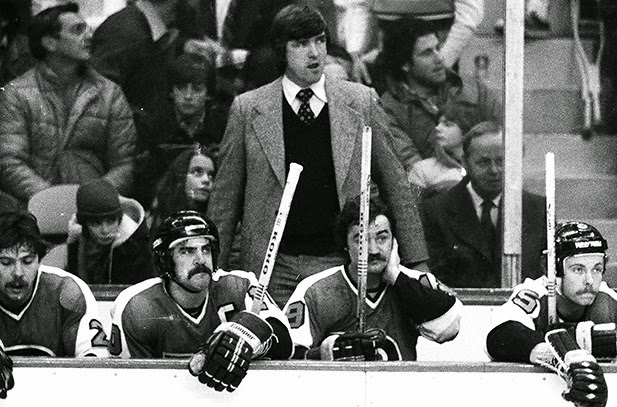 Pat Quinn was always a favorite son in Vancouver where he guided the Canucks as their coach to the Stanley Cup Final in 1994 as well as drafting and trading for a number of Canucks greats as their general manager. With the Flyers in the house tonight in Vancouver, the Canucks honoured Pat Quinn in the only way suitable. The Canucks took to the ice in green warm-up uniforms with Pat Quinn's name and number - the same name and number he wore for the Canucks when he played - on their backs. They also commemorated the evening by bringing in special pucks that shows the date of the game when the Canucks honoured the late Pat Quinn. Again, another classy move. In the pre-game ceremony, a vast number of legendary Canucks were on-hand including Trevor Linden, Markus Naslund, and Pavel Bure as the Canucks paid tribute to their former coach and general manager. 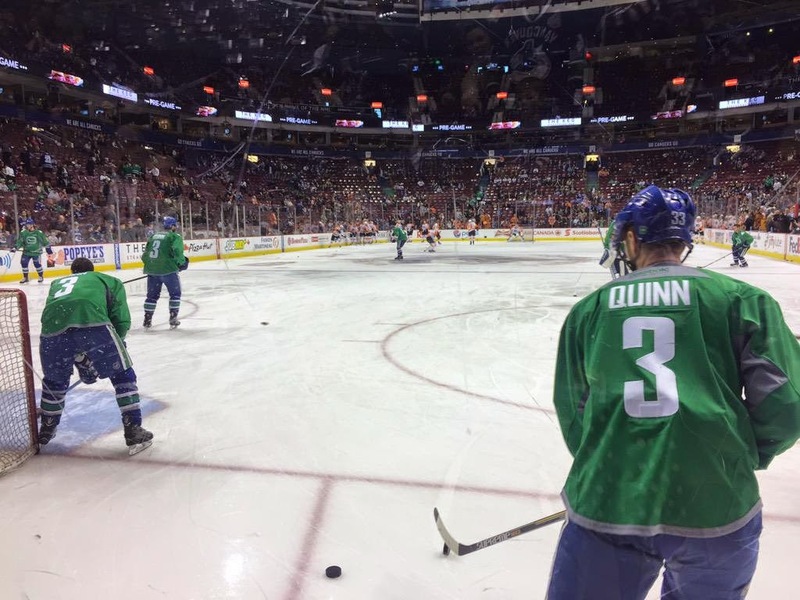 While most teams are wearing St. Patrick's Day-themed warm-up jerseys and then posting them online for auction to benefit charities, the Canucks used St. Patrick's Day to honour one of the men who best represented the Canucks' brand in Pat Quinn, the Big Irishman. Rest in peace, Mr. Quinn. Classy job, Canucks. Well done! 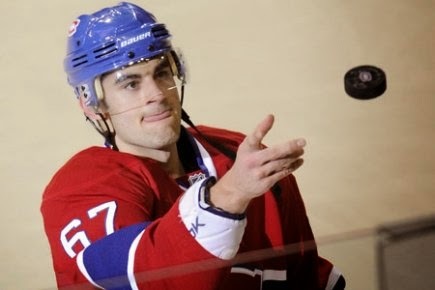 This is Max Pacioretty. Max is a pretty talented American hockey player. He played with the Sioux City Musketeers of the USHL followed by the University of Michigan Wolverines before being drafted by the Montreal Canadiens 22nd overall in 2007. Since then, he's played with the AHL's Hamilton Bulldogs when he was younger before becoming a legitimate scoring threat for the Canadiens. Tonight, we got to see another side of Pacioretty as he setup Steven Stamkos with a beautiful breakaway pass. Now you might be saying, "Hey, Teebz, pretty sure that Stamkos plays for Tampa Bay." You're right, of course, but that didn't stop Pacioretty from setting up Stamkos for a great goal tonight. Watch. Pacioretty missed the defensive line change that the Canadiens were making, and he dropped a pass back to the waiting Stamkos. No-look passes are great when they work, but in this case Pacioretty's no-look pass put the Canadiens in a 2-0 hole. Make sure you know where your teammates are before you no-look pass to someone! "If a player legally carries or passes the puck back into his own defending zone while a player of the opposing team is in such defending zone, the off-side shall be ignored and play permitted to continue." Because of this, Stamkos is on-side due to Pacioretty willfully playing the puck back into his defensive zone. One Stamkos slapshot later, and it's 2-0 for Tampa Bay. While Pacioretty won't get credit for an assist, Lightning GM Steve Yzerman might want to look at a way to bring Pacioretty to the Lightning. I'm almost certain Stamkos hasn't seen a pass that pretty since Martin St. Louis left town. I'll be honest when I say that I spent more time today watching CIS hockey than any other hockey. The Western Mustangs and the McGill Martlets met in the CIS Women's Championship while the Alberta Golden Bears and University of New Brunswick Varsity Reds tangled in the Men's Championship. Both finals featured the top-two teams in the country as McGill and Alberta were the top seeds entering the tournament weekend. Would they finish as #1? Two exciting finals later, and we had our answers. 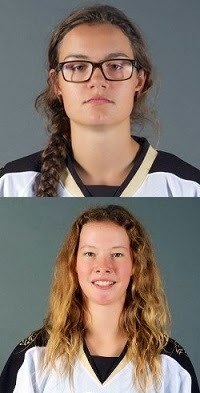 The Women's Championship featured a dominating performance that started earlier in the tournament for Western goaltender Kelly Campbell. Campbell, who is a pilot when she's not on the ice, was outstanding for her team in the tournament and, in particular, the championship game as she stifled the potent Martlets attack again and again. She allowed just one goal on 94 shots through the CIS Championship tournament, shutting out the top-ranked Martlets in the final. "There's no way to describe this feeling. We worked so hard as a team over the past year," the fourth-year netminder told reporters. "The shots weren't too bad, my team was blocking a few and keeping them wide. Overall, I wasn't too worried about it. We've been working our way up, confidence all the way." Western's Anthea Lasis shocked the Martlets when her wrist shot on the power play through traffic beat Taylor Hough on Western's second shot of the game, and the Mustangs carried the 1-0 lead into the intermission despite being outshot 17-4 in the opening frame. McGill continued to pour on the pressure in the second period, but it was Western who broke the game wide open with three goals on seven shots as Ally Galloway, Stacey Scott, and Kendra Broad struck before the period was ten minutes old. Hough's night would be over after Scott's goal, but Brittany Smrke couldn't stop the bleeding for the Martlets as they found themselves down 4-0 after 40 minutes despite outshooting Western 31-11. McGill would once again win the battle for shots on goal in the third period, but Western would add one more goal late in the game as Casey Rosen's power play marker with 58 seconds to play would seal the deal for the Mustangs! If one was looking for mistakes by the Mustangs, they were hard to find despite being outshot in a big way, but they did make one mistake. While dancing on skates to Mark Ronson's Uptown Funk, the Mustangs dropped the CIS Championship Trophy! 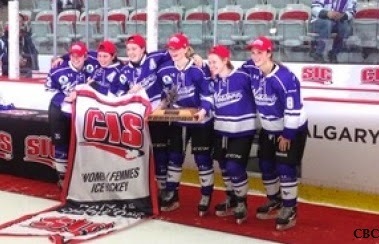 Congratulations to the Western Mustangs, the 2015 CIS Women's Hockey Champions! 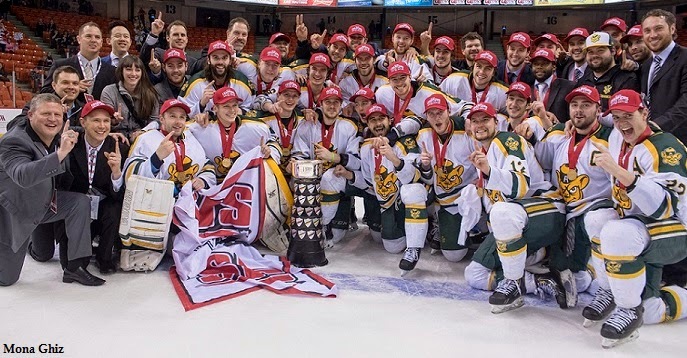 In the Men's Championship, the Alberta Golden Bears were looking to cap off another outstanding season with their second consecutive CIS Championship as they met the UNB Varsity Reds for the biggest prize in men's university hockey. On paper, these two teams looked fairly evenly-matched. Having seen the Golden Bears play this season in Canada West hockey, I know how quickly they can turn on the offence while shutting down the opposition, so despite the fact they are enemies throughout the season of the Manitoba Bisons I found myself pulling for the Golden Bears in this game. While the two teams seemed to feel one another out early on, it was Alberta who capitalized on a few chances in the first period. Colin Archer's cross-ice pass to Stephan Legault was fired high by Legault past David Shantz for the 1-0 lead, and they would head to the dressing up 2-0 after the always-dangerous Jordan Hickmott found some room through traffic in front of Shantz on the power play. A 2-0 lead for the Bears proved deadly in Canada West for most teams, but would it be enough to knock off the second-seeded UNB Varsity Reds? Dylan Willick cut the lead in half when he converted a gorgeous pass from behind the net by Matt Boudens that caught Alberta netminder Kurtis Mucha unready, and it was 2-1. It appeared that the two teams would battle it out in the one-goal game in the third period, but Alberta's Johnny Lazo chipped home a Levko Koper setup with just 3.6 seconds remaining and Alberta had their two-goal cushion once more as the period ended. The third period proved to be a high-scoring affair as UNB pushed to equal Alberta. UNB's Phillippe Maillet deflected a point shot from Dana Fraser to make it 3-2 for Alberta with 12:05 to play. A too-many-men penalty called on UNB would prove to be disastrous as Alberta captain Kruise Reddick fired a shot through a crowd in front of Shantz to restore the two-goal lead. UNB wasn't done, though, as Adrian Robertson's point shot was stopped by Mucha, but it flipped high into the air and landed behind Mucha in the net to make it a 4-3 game. The game would be iced with 2:36 to play, though, when Levko Koper finished off a two-on-none shorthanded rush to put Alberta up 5-3. Jordan Rowley would pot the empty-net goal for the 6-3 victory for the Alberta Golden Bears! It seemed that Alberta captain Kruise Reddick wasn't all that enthused by the way Alberta played despite the victory. "To be honest, this is probably the ugliest win of the year, but good teams find a way to win," he told reporters following the game. Alberta head coach Ian Herbers echoed the captain's sentiments. "That wasn't our best game I will say that for sure," he said during the on-ice celebration. “We scored some timely goals and our penalty kill was fantastic. A very good power play that we held off the scoreboard. We would kind of come down, score a goal and get back that two-goal cushion. It wasn't our prettiest one, but we will take it, that's for sure." In the end, nobody asks how. They just ask how many, and Alberta had enough on this day to be crowned the CIS Men's Hockey Champions! Congratulations to them on another successful season and back-to-back championships! 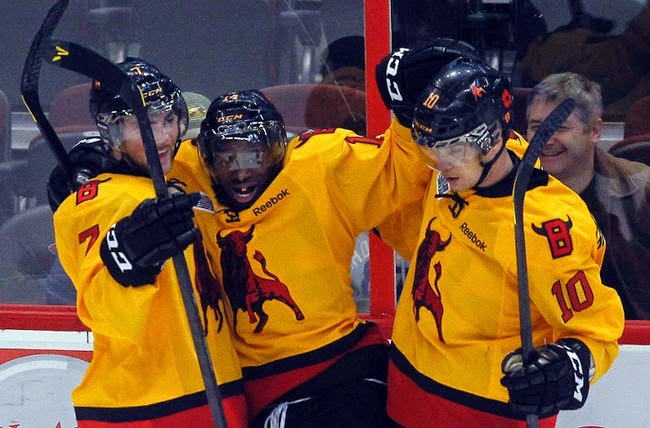 The announcement on Thursday that saw the OHL's Belleville Bulls were sold to Hamilton in a deal that follows a successive set of dominoes falling in the AHL. Bulls majority owner Gord Simmonds sold the team to Hamilton businessman Michael Andlauer, former owner of the AHL's Hamilton Bulldogs. The Hamilton Bulldogs were sold by Andlauer to the Montreal Canadiens who will move the team to St. John's, Newfoundland where it will be run by Danny Williams and renamed as the IceCaps. The current version of the St. John's IceCaps will be moved from St. John's by their owner, the Winnipeg Jets, to Winnipeg, Manitoba where they will be rebranded as the Manitoba Moose once more. Got all that? Today, friend and hockey lover Peter Santellan, who puts his hockey thoughts down on the excellent blog Pucks and Rocks, writes a little piece for HBIC about the moves seen in Canadian junior hockey in the last few years. Peter makes a good point in his writing, and I'll expand on it below. Here is Peter with his thoughts on the moves. With some news in the OHL, I figure to have a small say here, so here goes. In the world of major junior hockey, teams move or fold with some level of regularity. In the WHL, you'd be hard pressed to find a team that hasn't at one point in their existence, done either or even rebranded themselves (e.g. Portland spawned from the ashes of the original Edmonton Oil Kings franchise). In the OHL (the reason for this piece), three franchises have or will have relocated within the last two years. First, the Brampton Battalion picked up stakes after the 2012-13 season and moved to North Bay. This season alone, two teams have announced that that will be picking up stakes and move to different locations for next year. The Plymouth Whalers will be moving to Flint, MI after ownership changed hands, with Peter Karmanos selling to IMS Hockey Corporation in a move announced earlier this year. 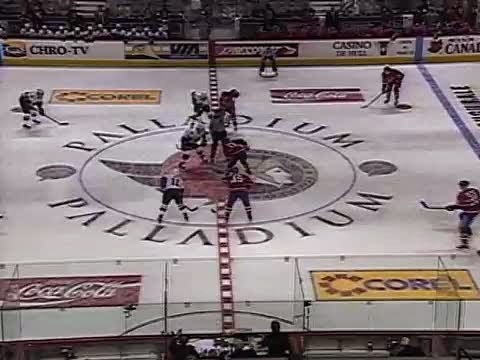 Today, the Belleville Bulls announced they will be moving to Hamilton, ON after the season. The move comes after the fight between owners of the Bulls and Belleville city leaders allowed for the lease of Yardmen Arena to expire at the end of this season. The chain reaction from the Belleville move is that the Hamilton Bulldogs name will be foisted upon the incoming team while the current Bulldogs will be heading to Saint John's after the parent Montreal Canadiens bought the team from Michael Andlauer. The move effectively ends the 34 years that the Bulls had in the city while in the OHL, with two years of the franchise playing before that in a lower league. Players such as P.K. Subban, Bryan Marchment, Darren McCarty, and Dan Cleary suited up in a Bulls uniform at one point prior to their respective NHL careers, and while circumstances have led to a rather sad end for Belleville, it seems like little in major junior is forever. Thanks for writing that, Peter! It has triggered a few thoughts for me, and I'll expand on those below. Excellent recap of what has been going on in the OHL over the last couple of years! It has to worry teams like Owen Sound, Sarnia, and Saginaw when they see teams abandoning cities like Brampton, Belleville, and Plymouth. Granted, there are other circumstances that factor into those teams leaving, but attendance always plays a factor and Owen Sound, Sarnia, and Saginaw hover near the bottom of the OHL attendance figures annually. Small markets are seemingly harder and harder to keep afloat in the OHL as more teams move to larger centers. Is junior hockey no longer a community thing? For well over 20 years, ownership, past and present, have awaited a determination from City leaders on this critical question. In the past eleven years, our ownership team chose to work with the City rather than force a decision with threats of departure. The expiration of the arena lease at the end of this season teamed with no commitment to a broadly supported improvement plan puts our ownership and the OHL in an untenable position. With increasing costs, and a sub-par facility we see no viability in this context. This is not an option for us. While some suggest that local ownership could unlock the key to success, it is completely unlikely that the OHL would entertain the transfer or sale of the Club if the team was to stay in the same facility. And there's the crux of the situation. Just like professional teams, the lack of a new facility to support more fans, concessions, luxury suites, and other money-making venues is the main factor behind Belleville's move to Hamilton. Junior teams hardly turn the profits that NHL teams do, but they still need to be profitable as a business. It sounds like Belleville was watching their bottom line closely as the lease with Yardman Arena expired, and it was the best time to cut their losses (if there were any) and look at a newer facility. As a civic improvement, a new arena could certainly help Belleville, but we need to be honest in stating that an arena is a luxury for most cities and towns. While it can attract all sorts of economic benefits - sports teams and concerts, as examples - it's a huge undertaking for a community with a limited tax base, especially when other civic improvements are needed. Thunder Bay, Ontario is finding this out right now as they battle to secure funds from all sorts of different places (thanks for the link, Will S.!). In the case of Brampton, they left the Toronto suburb after falling below 2000 fans per game, but the move to North Bay, Ontario saw North Bay do a $12 million renovation on their aging Memorial Arena. The Battalion could have moved to a dozen communities who wanted the junior team, but the renovation of Memorial Arena and the past success of North Bay as an OHL community seems to have sold the Battalion on North Bay. Would they have moved there without the renovation? The Plymouth move to Flint, Michigan seems a little more curious when you consider Flint's recent economic problems. The city is starting to rebound, but Plymouth is moving 35 minutes north to an arena that opened in 1969 and is 45 years old! What would prompt them to do so? Population. "It's right in the middle of a hockey hotbed, I guess you'd say, with all the teams that are within an hour or two," former NHLer Ken Morrow told John Matisz of the Ottawa Sun. "You're down in Detroit in an hour, you've got the Red Wings, the University of Michigan an hour away. You've got Saginaw, Windsor, Sarnia, Grand Rapids across the state. In that regard, it's right in the middle of everything, hockey-wise." The people of Flint also have seen some success as the Flint Generals were a long-term team in the community in both the IHL and UHL dating back to when Perani Arena first opened. However, as Mr. Morrow pointed out, this is more about maximizing profits by attracting more fans to the arena with its proximity to all the major hockey hubs in Michigan. The arena plays less of a factor if they can fill 4000 seats per night in Flint. So it needs to be asked again: is junior hockey no longer a community thing? The smaller communities in the WHL seem to be seeing a resurgence in support as cities like Prince Albert, Red Deer, Moose Jaw, and Brandon continue to see excellent fan support despite the older barns some of these teams play in. The QMJHL have had a few teams move around, but the teams in Rimouski, Drummondville, and Shawinigan seem to be holding their own. It's the OHL that is seeing the smaller teams vacate communities where they were the only team in town for newer arenas and/or larger centers in order to turn a (better) profit. I get that hockey is a business. I understand no one enjoys seeing red ink year after year. I also understand that citizens of these communities want to see civic improvements from their tax dollars that include things like infrastructure, roads, sewers, and services. Building and/or renovating arenas don't seem to factor in for some of these communities, and the result is that the local junior team looks elsewhere for support. Is it fair? No. Junior teams are the fabric in which these communities were woven together, bringing people from all walks of life in these communities together. Tickets are affordable, families show up together, and they watch two teams of teenagers battle it out on the ice as each member of those teams chases his big-league dreams. However, that fabric is slowly falling to the wayside as teams move to larger, more modern centers. And that's a shame. There will be no joy in Belleville next season. Forget the Memorial Cup runs and the many players who played there and made it to the NHL. These Bulls are heading to Hamilton, and gone will be the memories of them, the McFarlands, an Allan Cup championship in 1958, a gold medal at the World Ice Hockey Championships in 1959, and a J. Ross Robertson Cup in 1999. All of it will slowly circle the drain of vanishing memories as time marches on. But hey, it's just business, right? I'm not sure if the pressure of the playoffs is getting to players, coaches, and management in and around the NHL, but there were a pile of interesting sound bites uttered this week, particularly in the last few days. I was planning on doing some sort of round-up for all of these quotes, but I wanted to stretch my wings a little and try out some new code today. Rather than link back to all of the stories, it's time to see if you were paying attention in class this week. Consider this your pop quiz! I took some time to learn how to code a match game! Your job will be to match the quote to the person who said it. There's no prize for the lowest score or anything other than personal pride, but I am curious to see if you can narrow it down based on quote and the person's face hiding behind the squares. If you click on a square and get a face, you obviously won't be successful if you click on a second square and another face appears. The same thing goes for squares containing quotes. If you find a face and a quote but it wasn't uttered by the person pictured, the squares will flip back over and you'll proceed to hunt down who said it once more. Once you find a correct person-quote match, it will remain flipped over. If you want to try again, the reset button at the bottom will reset and re-scramble the board for you. Sound good? Well, have at it, kids! Hit me in comments below with your thoughts. Is this something you'd like to see once in a while as a change on HBIC? What was your score on your first attempt? Did you have to search the internet for any of the quotes? Leave your thoughts below, and we can discuss! The Hockey Show, Canada's only campus-produced hockey radio show, is back with a very special show tonight. We've been working on this show for nearly two weeks as we get things prepared for our special guest who will take over our show tonight. It will be her first time on radio, but we're pulling out all of the stops for her so that her show will be one of the best we've ever put together! Needless to say, we're very excited about tonight's episode! You may recognize the image above. That's Alyx Delaloye on the left of the picture and her brother, Hayden, showing his support of the Jets on the right. Alyx took in her first Jets game ever on February 24 after spending the afternoon in chemotherapy to help her in her battle with cancer. She captured the city's, province's, and the world's attentions with her smile that night, and we at The Hockey Show are no exception. Tonight, we are honoured, privileged, and proud to let Alyx and Hayden Delaloye take over the The Hockey Show! Now you're probably asking yourself how a seven year-old girl can run a radio show with no experience. That's where we come in since we do this thing weekly. Three people from across the hockey community want to speak with Alyx and Hayden, and we're excited to have all three on via phone to greet our two special guests! The first person to call will be the woman whose overtime goal last weekend won the Boston Blades the CWHL's Clarkson Cup! That's Austrian Janine Weber, and she's very excited to speak with Alyx and Hayden! To her right in the image above is a guy we at The Hockey Show admire and respect as he worked his way through all levels of hockey here in Manitoba right up to the NHL! That's NHL linesman Ryan Galloway, and he wanted to speak with Alyx and Hayden the moment he saw her on the highlight shows! Finally, to his right in the image is a woman who needs little introduction as she's been a hockey icon in this country since she burst onto the scene at the age of sixteen! Olympic gold medalist and Calgary Dinos forward Hayley Wickenheiser will call in near the end of the show to talk with Alyx and Hayden as well! WOW! But we're not done yet! The two ladies to the right will also join us in-studio! Bisons women's hockey teammates Alana Serhan, who has appeared twice on The Hockey Show and is always a blast to have on the show, will be joined by goaltender Rachel Dyck who, in this writer's view, was the best goaltender in Canada West this year as she was named to the Canada West second all-star team! They'll be bringing along some pretty awesome shwag for Alyx and Hayden, and they are generally excited to meet the two little hockey fans! The Bisons, who everyone counted out at the start of the season, battled hard all year, but, as they said, it's nothing compared to the fight shown by Alyx, and they want to let her know they're standing with her in her fight! Way to go, Bisons! And finally, there's nothing short of what our partners at Boston Pizza have done, and I am happy to call them a great community partner and neighbour. After Alyx and Hayden finish their work on The Hockey Show in terms of all the interviews and meet-and-greets, Boston Pizza has graciously invited Alyx, Hayden, and their parents to their restaurant to have dinner on Boston Pizza! I want to thank Boston Pizza for their generosity and willingness to help out, and I will be promoting them heavily on the air tonight. Thanks again, Boston Pizza! Like your slogan, Alyx and Hayden will be among friends for dinner! The phones will be closed tonight, but the show, as always, will be live on 101.5 UMFM on your radio dial in the Winnipeg region or you can listen live between 5:30pm and 6:30pm CT on your web-enabled device at the UMFM webpage! You can tweet me anytime you like by hitting me up at @TeebzHBIC on Twitter. You can also post some stuff to Facebook if you use the "Like" feature, and I always have crazy stuff posted there that doesn't make it to the blog or show. Tonight is the biggest show in The Hockey Show's history, and we are honoured to be able to give Alyx and Hayden an opportunity to meet some people who have been moved by Alyx's courage as she stares down and defeats leukemia! Everyone who plays professional sports knows how to deliver a good sports cliché. They are the go-to comments that players use when trying to say as little as possible without denying a reporter a sound byte. Reporters usually know when they are being clichéd, but it's one of those things you put up with when searching for a good quote to use in a story. The fact that clichés are used all over sports spawned an excellent scene in Bull Durham. Crash Davis, played by Kevin Costner, is teaching hot-shot rookie Ebby Calvin "Nuke" LaLoosh how to improve his interview skills. Crash Davis: It's time to work on your interviews. Ebby Calvin LaLoosh: My interviews? What do I gotta do? Crash Davis: You're gonna have to learn your clichés. You're gonna have to study them, you're gonna have to know them. They're your friends. Write this down: "We gotta play it one day at a time." Ebby Calvin LaLoosh: Got to play... it's pretty boring. Crash Davis: 'Course it's boring, that's the point. Write it down. We're not here to talk about baseball, though. As a joke, I have tweeted out a few Locker Room Cliché Guy™ quotes when talking about certain situations, and I have called out a few teams when they post comments from players that sound like locker room clichés. I'm not sure if everyone gets the joke, but two guys who do are Jared Keeso and Dylan Playfair. Just as a heads-up, there are some inappropriate questions asked by the reporters for comedic purposes. PG-rating on this video, parents. Aside from some rather inappropriate questions, that's exactly how locker room clichés work. I was laughing out loud at how Jared and Dylan continued to work the same lines in over and over despite their answers having nothing to do with the questions. In short, that's Locker Room Cliché Guy™ to a tee! The next time you hear a player giving very generic answers in a locker room interview, know that he's working on the art of Locker Room Cliché Guy™. It's a highly-valued skill in professional sports! Show 'Em How It's Done, Coach!